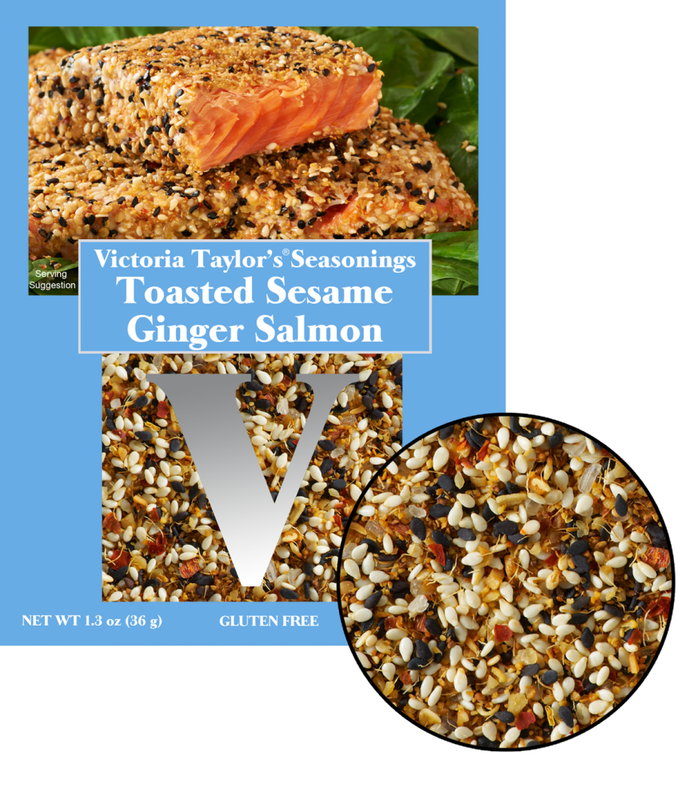 Toasted Sesame Ginger Salmon seasoning combines sesame seeds, ginger, garlic, sea salt, red pepper, and toasted sesame oil for a rich, spicy Asian flavor. This is a one time use packet designed to make the recipe for Toasted Sesame Ginger Salmon which is included on the back of the packet. Ingredients: Sesame seeds 54%, ginger 22%, garlic, sea salt, red pepper, toasted sesame oil.